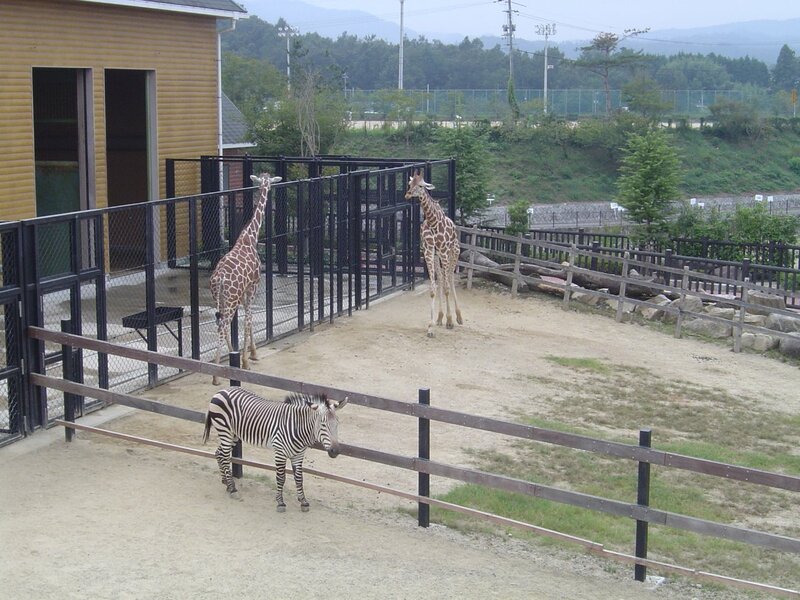 Fukuyama City Zoo is located 15 km northwest of Fukuyama Station. 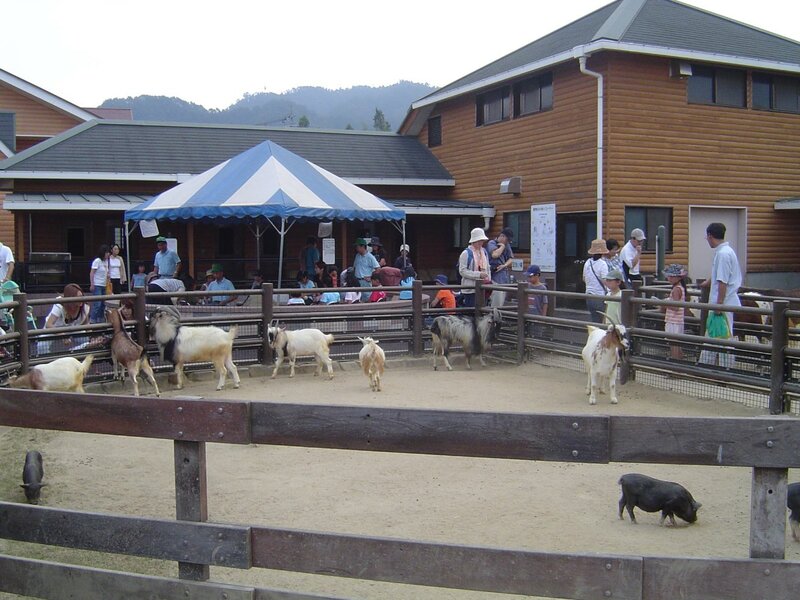 While considerably smaller than the prefecture's other zoo, Hiroshima Asa Zoological Park, its newer sections offer as good as or better experience. From 1999, it under went an extensive renewal with a major building or exhibit built nearly every year for a while. The zoo could be walked around in as little as 30 minutes but the newer exhibits provide plenty of reasons to stay a while and linger. These exhibits show the zoo's new (more ethical) focus on having breeding pairs of all their animals and creating more natural settings for their guests. The zoo is a little short of land so the cages aren't super roomy. They do house the animals in a respectful manner. The zoo tour starts with its penguin exhibit. Next, the savanna zone features zebras and giraffes. 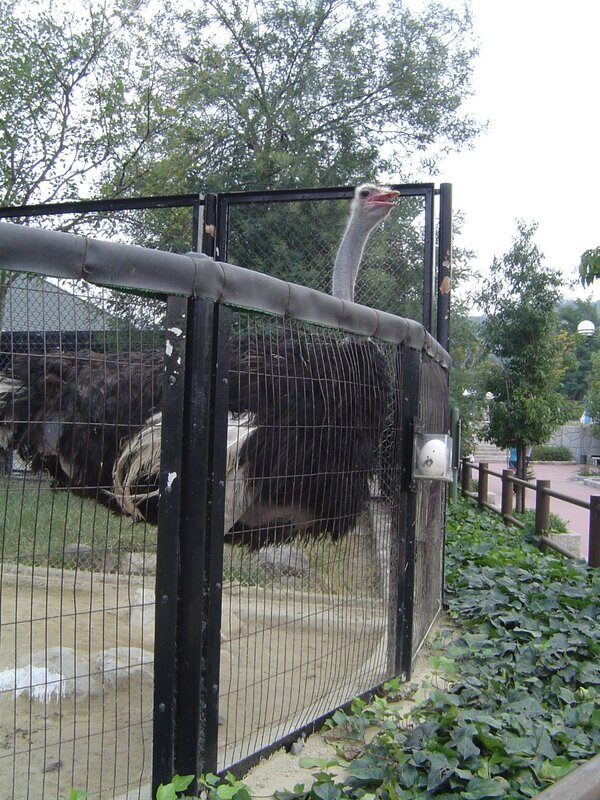 The flightless birds section allows you to get up close with ostriches, emus and cassowaries. 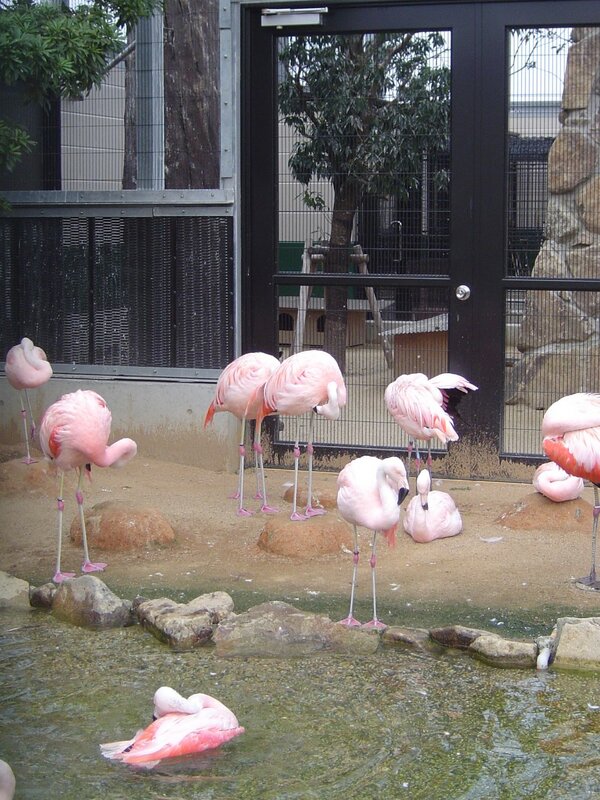 Topping off the birds is a large modern aviary with flamingos on one side and a walk in section on the other side with a menagerie of birds from different parts of the world. Fortunately, African birds don't seem to mind sharing their home with birds from Asia. There is, of course, a small petting zoo and a reptile house which was completed in 2003. The reptile house has a number of fascinating animals like alligators, snapping turtles, Indian star tortoises and (always popular with little boys) snakes large enough to consider the petting zoo a light snack. The "Fierce Animal Zone" with an assortment of big cats was completed in 2006. 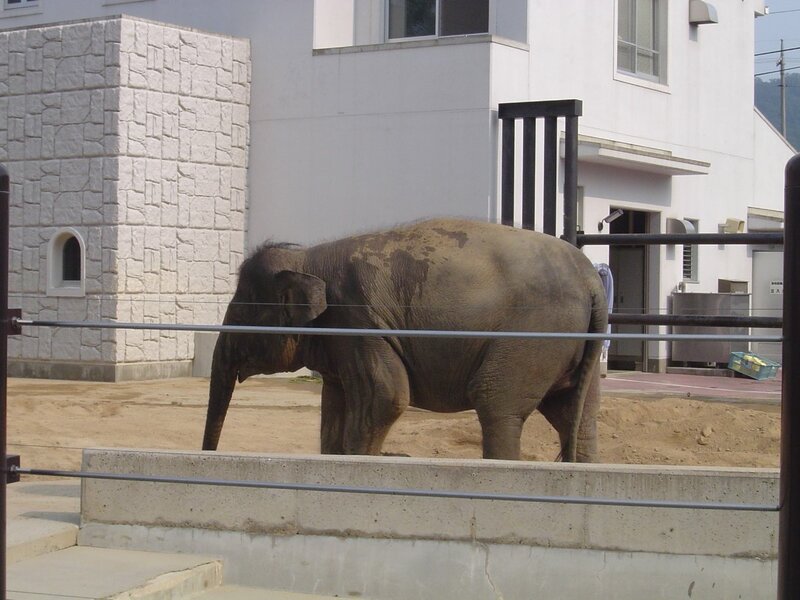 Fuku-chan, the zoo's Asian elephant and the zoo's monkeys end the zoo tour. There are also a number of paddle boats that can be taken out on the nearby pond. The zoo's new buildings and exhibits excel in animal care and make the animals easily viewable to visitors. While small, it showcases its mammals, birds and reptiles well. 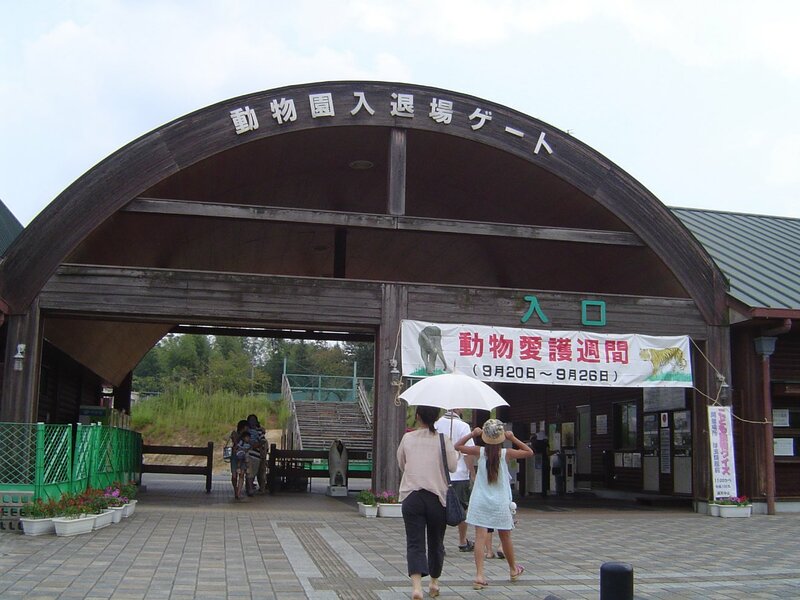 It may not be the largest or most famous attraction in Fukuyama City, but the improvements make visiting this zoo an enjoyable way to spend an afternoon. Reaching the zoo by car was a little tricky as the route was poorly marked. With a good GPS, it should take around 30 minutes from downtown Fukuyama and from both Fukuyama exits off the Sanyo Expressway. 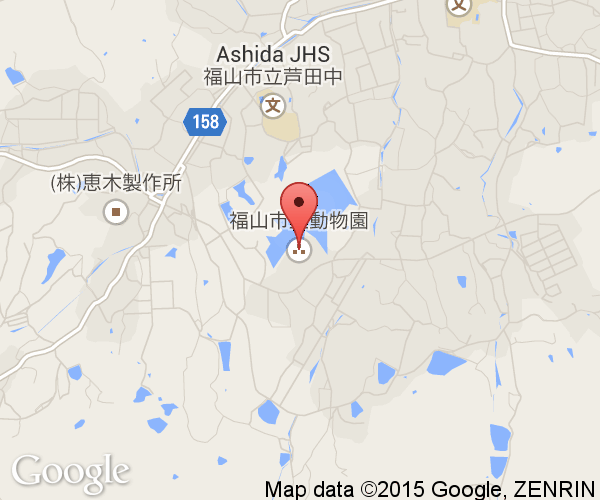 Buses to the zoo leave from JR Fukuyama Station and take around 40 minutes to reach the zoo.